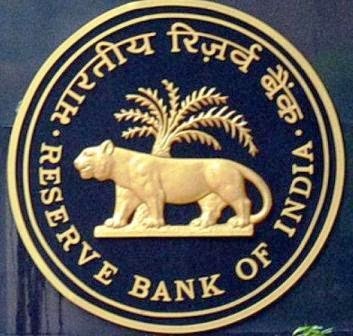 Reserve Bank of India (RBI) Latest Recruitment 2014 for various Posts of Engineer: -Reserve Bank of India or RBI is recently notified for latest recruitment in various posts. As now the reserve Bank of India invited the application for the recruitment to posts of Junior Engineer in Civil and Electrical Engineering. So now all the interested and eligible candidates can apply for these posts before the last date of Registration. Last Date for registration: - 20th Feb 2014. Last date for submitting fees: - 20th Feb. 2014. Tentative date of Exams: - 30th March 2014. Total number of posts with detail: - 23 Posts. 1. Junior Engineer in Civil Engineering: - 9. 2. Junior Engineer in Electrical Engineering: - 14. Age: - 20 to 30 Yrs as on 1st Feb 2014. 1. Junior Engineer in Civil: - Diploma in Civil Engineering with 65 % marks and for SC/ST Candidates 55% marks/ Degree in Civil Engineering from and recognized university or institute with minimum 55% Marks and For SC/ST Candidate 45& Marks. 2. Junior Engineer in Electrical: - Diploma in Electrical/ Electronic Engineering with 65 % marks and for SC/ST Candidates 55 % Marks or Degree in Electrical/ Electronic Engineering from any recognized university or institute with minimum 55% marks and for SC/ST Candidates 45% marks. You Might also like: -Latest Jobs 2014 in TCIL. How to apply: - all the candidates can apply through online by the official website of Reserve Bank of India. And check the website also for more details about advertisement. The official website is: - www.rbi.org.in.